This is a continuation of ‘Where should I stack my drapes? Part 1’. 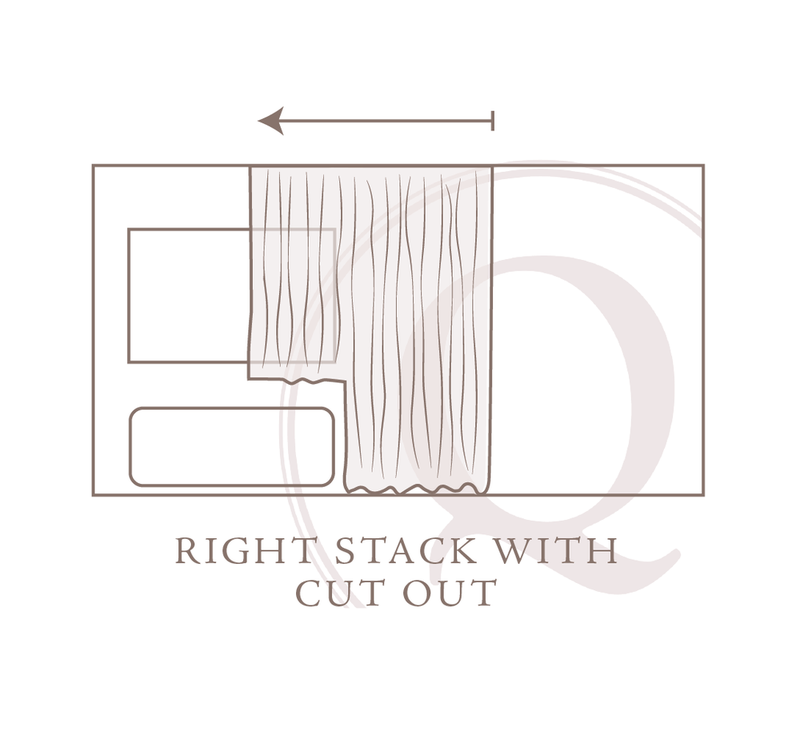 In this post we will take a more indepth look at the last four ‘stack options’ seen on our Drapery Stack resource card. 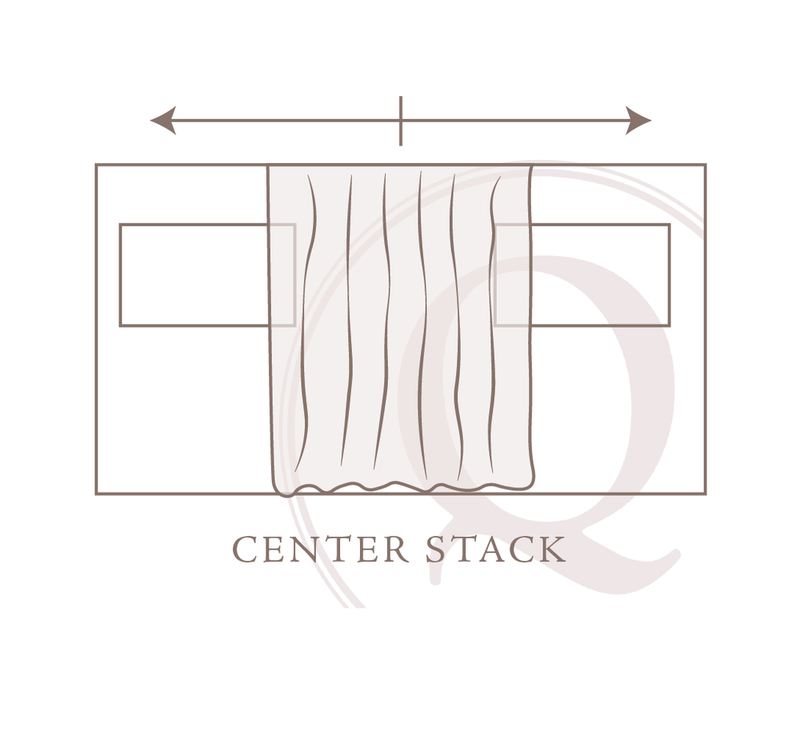 This stack option is made identically to the ‘Center Open Pair’ except that the drapery is literally cut out at a specific point. Usually the cuts are of identical size and are made to allow the drapery to frame a PTAC unit. The cut outs are usually made at the bottom corner of the leading edge so that when the pairs are closed (come together at the center) they form a rectangle around the PTAC. 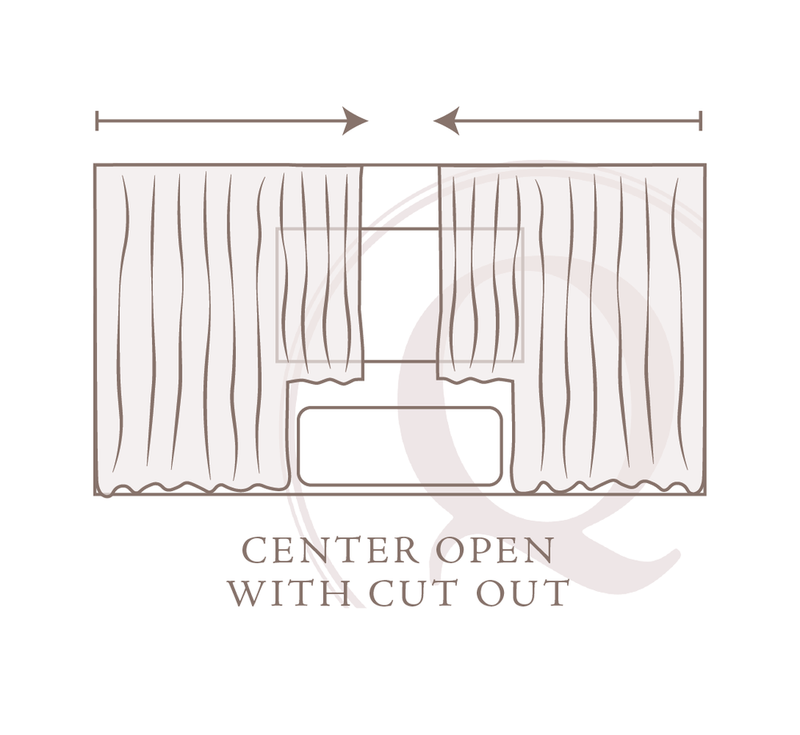 It is important to note that when open the ‘cut out’ portion of the drape does look slightly different as it obviously does not hang to the floor as the rest of the drape does. Similar to the ‘Center Open Pair with Cut Out’, this is simply one of the two panels. The cut out again is usually used to frame PTAC and therefore this type of stack with a cut out would be used in a room where the window & PTAC are either to the far left or far right, along the wall of a room. The opposite edge from the master is outfitted with a return to the wall. Stationary Panels are exactly that, stationary. They can be used as side panels in smaller widths or to cover large areas of the wall, in a design that may specify wall to wall drapery coverage. Both edges of the drape are usually made to return to the wall and neither edge is outfitted with a master carrier. As these are stationary panels, no traversing mechanism is needed, therefore these are always made with regular hardware. The center stack is more rarely used, although it can definitely come in handy in different circumstances. The basic idea is that one large panel is made and outfitted with a master carrier on both edges. Therefore both edges traverse in opposite directions. A stop is placed at a specified point in the hardware that stops the traversing from that point.